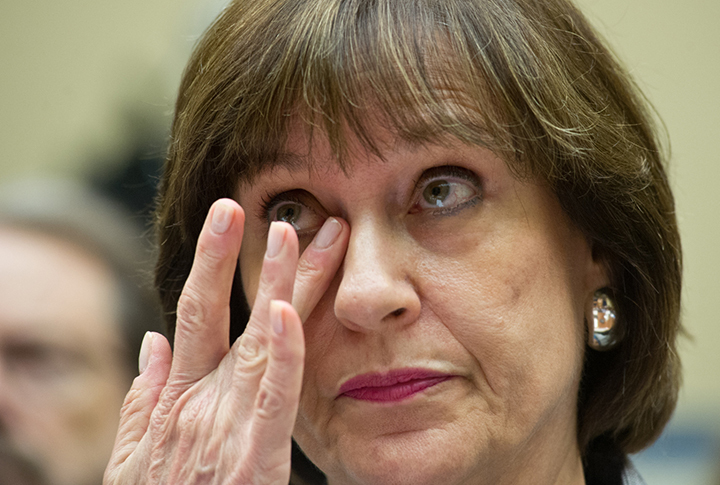 We learned on Friday that Lois Lerner, nor anyone else at the Internal Revenue Service, will not face charges over the targeting of conservative groups. Despite what the politicians are telling you now, that wasn’t a shocking outcome, and not just because it was another case of the Obama machine protecting itself. Both liberals and conservatives alike have been using the IRS as a political tool, threatening tax-exempt organizations to toe the line or lose their tax exemption, for decades. In the middle, of course, everyday citizens continue to get the shaft, regardless of which side of the coin is facing up that particular day. Several presidential candidates have made claims that their plan is going to eliminate the IRS, yet maintains a federal income tax and most of the Internal Revenue Code. It’s a lie. Don’t buy it for one moment. The only plan that does away with the federal income tax, the tax code, and the IRS is the Fair Tax. The Fair Tax eliminates all forms of federal taxation and replaces it with a consumption tax — a sales tax — that lets each American decide how much tax he or she wants to pay each year. You keep your whole paycheck. No more need for tax shelters. Repatriation of corporate funds (and their operations) would be the only move that makes sense. You want to talk about “winning,” just imagine our economy when the U.S. becomes the corporate tax envy of the world. But it takes more than a president to make it happen. There are Fair Tax bills in nearly every state legislature, and you need to put pressure on your representatives in Washington to give it a shot. If they tell you “it won’t work,” that’s because they haven’t read the bill, or they’re paid off by special interests. Either way, you know what you have to do then. In the meantime, just be sure to keep things straight. Measuring the Drapes —S. Rep. Paul Ryan is already hiring staff for his Speaker of the House office. It may not be quite as bad as we feared (remember: “Trust, but verify”). His pick for Chief of Staff: former Heritage Foundation VP David Hoppe. CLICK HERE for the full story. Afghanistan Rocked — In a country as impoverished as Afghanistan, any little rumble can be a catastrophe, but the magnitude-7.5 earthquake that rattled the country this morning is going to have a devastating effect on the Afghan people. Pakistan and India will both be effected, as well. CLICK HERE for the full story. Purveyor of Degeneracy — The head of the largest NYPD union has called for a boycott of Quentin Tarantino, who he called a “purveyor of degeneracy,” after the Hollywood director marched against police four days after a New York City cop was murdered. CLICK HERE for the full story. Well, If It Was a Tax — Another lawsuit aiming to have Obamacare declared unconstitutional is making its way to the U.S. Supreme Court. The Pacific Legal Foundation has appealed a lower court ruling, arguing the Affordable Care Act violates the constitutional provision that all revenue-generating bills must originate in the House of Representatives. CLICK HERE for the full story. Democrats Souring on Iran — A group of Democrats, while not declaring it a violation of the nuclear deal (because, technically, it’s not), are insisting the State Department and Obama Administration respond to Iran’s ballistic missile test earlier this month. CLICK HERE for the full story. During the height of the Cold War, one the top missions for the U.S. Navy’s submarine forces was to protect the undersea communications cables that connect the U.S. with Europe and the rest of the world from Soviet attacks and spying. It looks like the Silent Service just re-inherited that mission. According to The New York Times, Russian submarines and spy ships are aggressively operating near the vital undersea cables, which now carry almost all global Internet communications. The chief concern: the Russians might be planning to attack those lines in times of tension or conflict. The ultimate Russian hack on the United States could involve severing the fiber-optic cables at some of their hardest-to-access locations to halt the instant communications on which the West’s governments, economies and citizens have grown dependent.